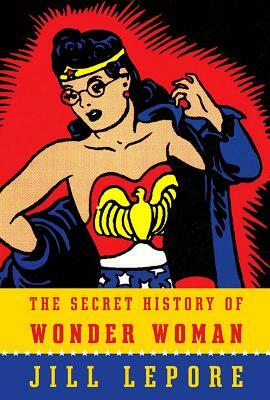 Even if you’ve never read a comic, you’ll be absorbed by the remarkable history of the first - and still most famous - female super hero. Created prior to WWII by William Marston, an unconventional man with an unconventional relationship to women, the comic was non-so-subtle propaganda for women’s equality. Marston was an entrepreneur, inventor, early advocate of women’s rights, and inveterate huckster. Super Woman’s story lines paralleled the battle for women’s rights that was occurring both in society and in Marston’s personal life. Marston’s polyamorous marriage did not entirely live up to the equality he espoused, and the story of his life - and the women in it - make for a new understanding of this comic feminist icon. This edition includes a new afterword with fresh revelations based on never before seen letters and photographs from the Marston family’s papers. Jill Lepore is the David Woods Kemper ’41 Professor of American History at Harvard University and a staff writer at The New Yorker. Her Book of Ages was a finalist for the National Book Award. She lives in Cambridge, Massachusetts.